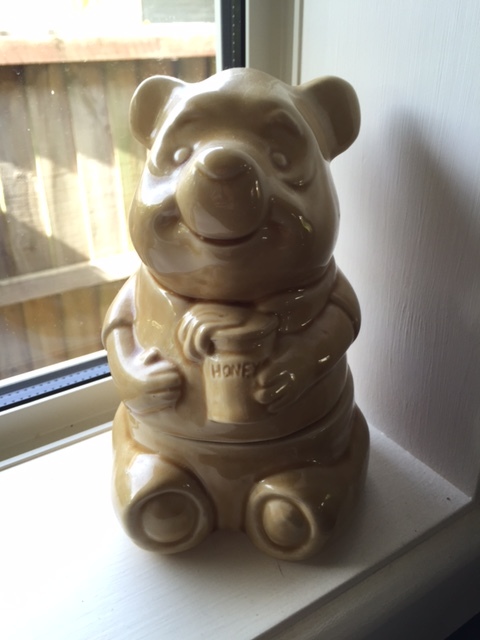 Sitting on the window sill in my kitchen is this ceramic Pooh trinket container. I adore him, he just looks so happy sitting there storing my odds and ends. Pooh is definitely at the top of my list.